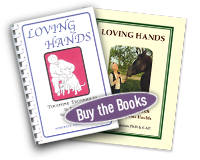 Animal Health Care Consultant, Certified Acupressurist and Animal Communicator, Roberta Anderson, PhD, introduces her students to her hands-on techniques to enhance the health of animals large and small. Come learn how to use Roberta's Rejuvenating Touch Techniques to assist in your animal’s physical and emotional wellbeing. This series of hands on workshops is specifically designed as an augmentation to traditional veterinary health care. Roberta includes the care of Dogs, Cats and Horses. She demonstrates several healing modalities including the Rejuvenating Touch Techniques of acupressure (acupuncture with out needles). Attendees are encouraged to bring their dogs and cats to attend selected workshop sessions. Participants with Horses are encouraged to invite Roberta to visit their animal in its own environment. 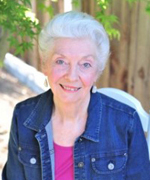 To find out more about Roberta and her Rejuvenating Touch Techniques workshops and newsletters, visit the Events and Classes page for full listing of workshops and/or sign up for your free eNewsletter. Email Roberta at info@petcareconnection.com - (Subject line: PCC 2016/17 Classes & Workshops?) for greater details about class & workshop content or other activities & services. Location:1525 Michael Way, Turlock, CA 95382. Rejuvenating Touch Techniques to Relieve Common Animal Health Problems: 1 Hr. Session. Temporary Relief from Indigestion and Cramping; Weight Gain or Loss, and Loss of Alertness. Rejuvenating Touch Techniques to Address Animal Health Related Interventions: 1 Hr. Session. Equilibrium Restoration; Fever Reduction; and Immune System Strengthening. Shock/Shaking/Shivering; Anxiety Induced Behavior; and Pain Relief Without Drug Use. Rejuvenating Touch Techniques to Balance Animal Meridians (Energy Pathways): Two 1&1/2 Hr. Sessions. First session: learn the Techniques. Second session: bring your animal to practice using techniques learned. Can Our Pets Benefit from Hypnosis?